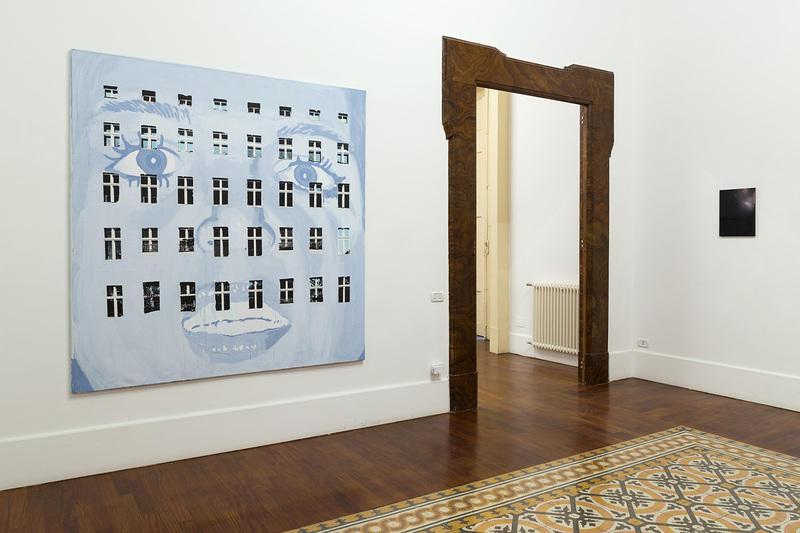 Galleria Tiziana Di Caro is happy to host An Entertainment in Conversation and Verse, a collective exhibition curated by Maria Adele Del Vecchio which will include works by Maria Adele Del Vecchio, Gaia Di Lorenzo, Sara Enrico, Giovanni Giaretta, Andy Holden, Thomas Jeppe, Ninon Liotet, Eleonora Meoni, Pentti Monkkonen, Marta Orlando, Francesco Pedraglio, Benedicte Gyldenstierne Sehested. The title An Entertainment in Conversation and Verse was borrowed from Ronald David Laing who used this as a subtitle for his Do You Love Me?, a book in which the Scottish psychiatrist uses even his own family biography as the object of his investigation, replacing the theoretical approach with a poetic one. In this sense, Del Vecchio conceives a work that through the palindrome “Are we not drawn onward to new era” creates a continuous movement of references and points of view which, while overturning, does not affect meaning. 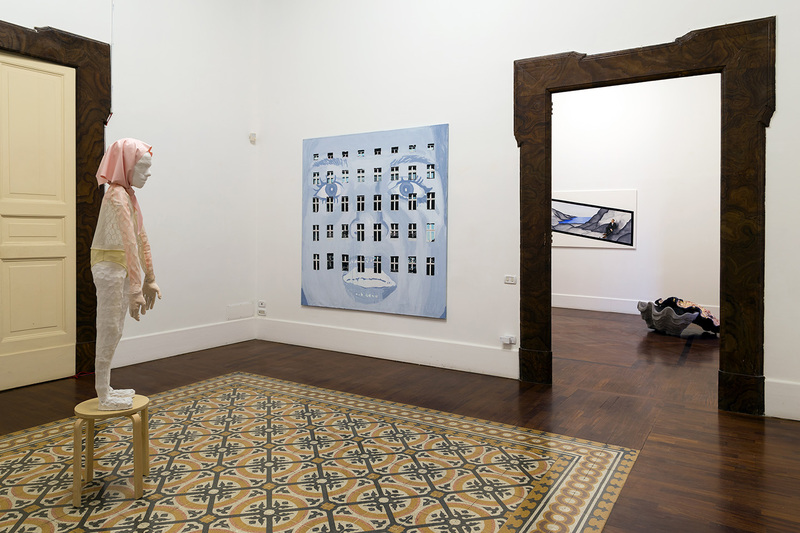 The beginning of the exhibition path features a hypnotic and indecipherable story. This is the voice-over in Giovanni Giaretta’s video, The Sailor. Inspired by Fernando Pessoa’s own The Sailor, the video is in Na’vi, an invented language from the sci-fi movie Avatar, and tells the story of a sailor imagining the homeland he never had. A process both slow and in response to the context of the Gallery and the city of Naples has characterized the creation of the sculptures by Gaia Di Lorenzo who, in continuity with her own practice, seeks things in their opposites – the fragile in the tough, the natural in the artificial… – without favoring either of the two aspects, but turning them into accomplices. 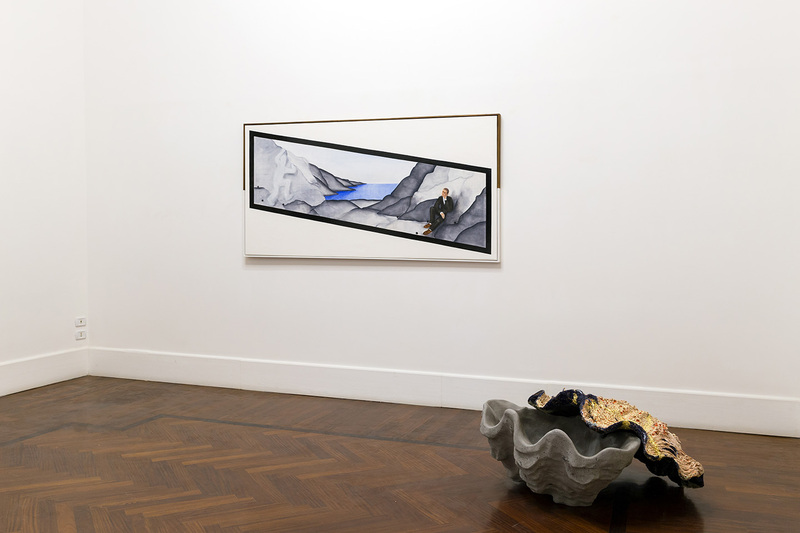 Just like Gaia Di Lorenzo, Thomas Jeppe was inspired by Naples in creating a painting in which Alessandro Moreschi, the last castrato singer of history, confronts his own ghost in a Naples-inspired landscape. Cut out is a sculpture by Sara Enrico and part of a series characterized by delicate, seemingly fragile volumes, and by surface finishing. In the details and postures of these objects, the artist seeks an anthropomorphic, vulnerable dimension. 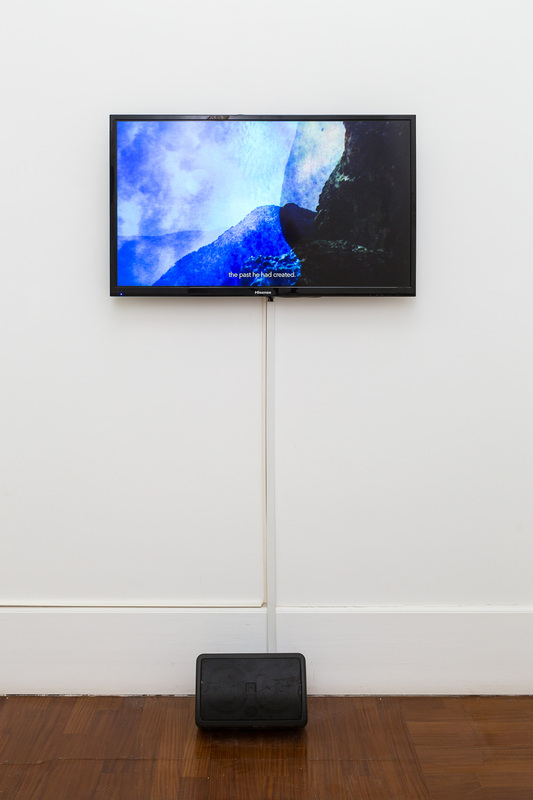 A portion of the universe is seen in Andy Holden’s work; among the stars we see a series of eyes that reflect the look of the observer, muddling the roles of the viewer and that of the viewed object. 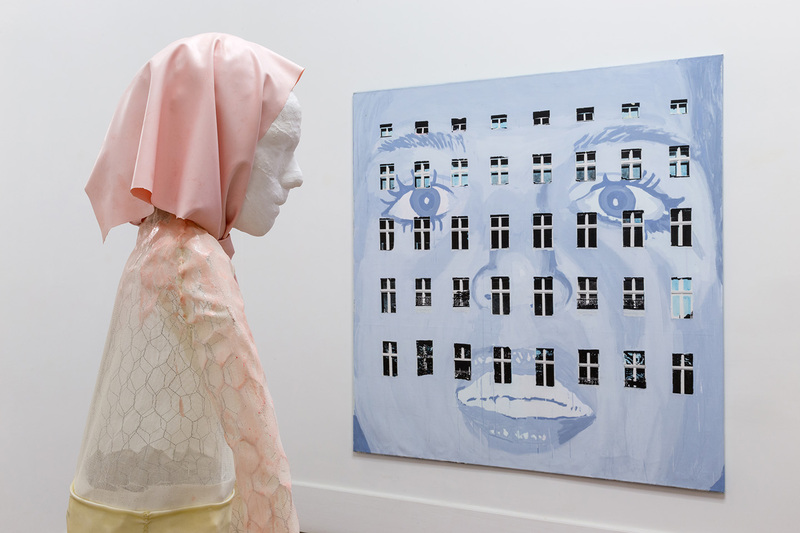 Pentti Monkkonen portrays the typical facade of a Berlin palace on which he places a mural depicting Britney Spears at the time of her famous psychological collapse. Once again, the idea of glance exchange that enchants the viewer is renewed. An element that somehow re-emerges in the hieratic aspect of the sculpture by Benedicte Gyldenstierne Sehested, which we find even in the picture of the artist herself; these are subjects with an ambiguous identity that the artist brings together focusing on their psychological / emotional presence in shared social structures. The work of Ninon Liotet investigates the incidence that sound, in this specific case of a burning house, can evoke in the viewer’s consciousness. 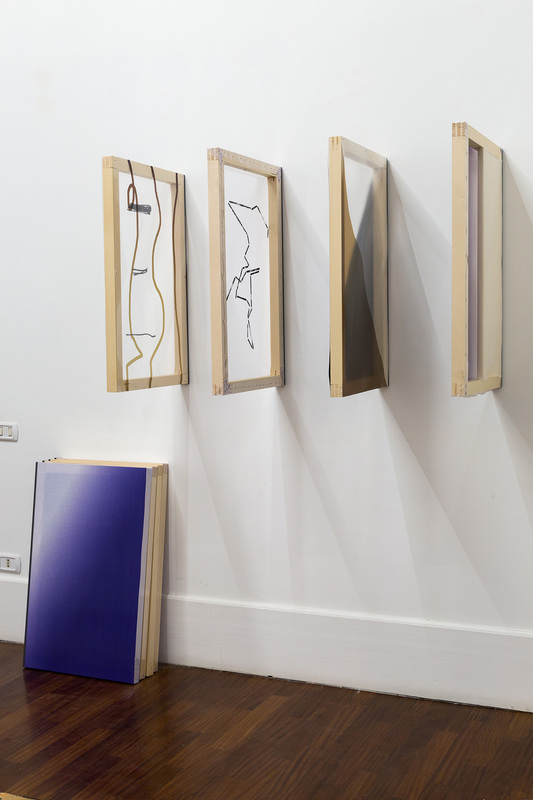 The interaction of Eleonora Meoni with the exhibition space is based on a similar approach: the artist intervenes on the neon lighting of the Gallery, sculpting the environment using color. 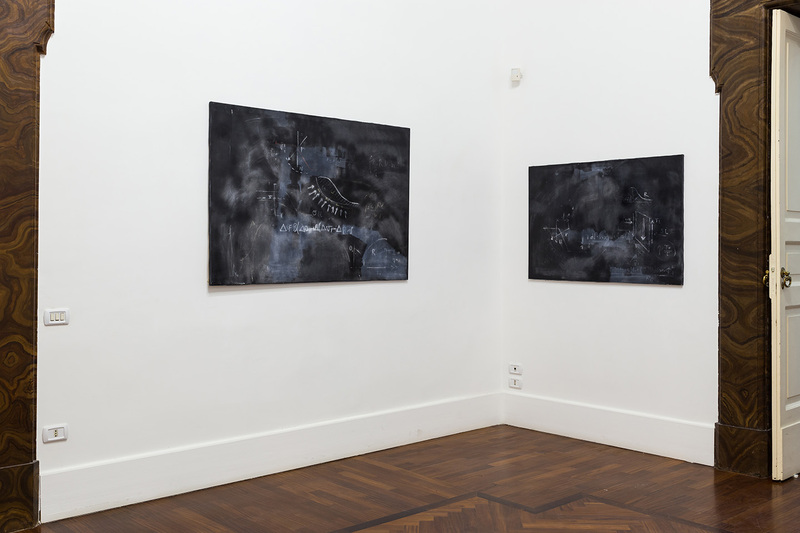 A more intimate and emotional segment characterizes the work of Marta Orlando, in which the canvas turns into a blackboard on which the traces of erasing are clearly visible, where the act of writing and rewriting, “a kind of endless mantra” recalls the continuous, often necessary reconstruction of the self. The exhibition ends with a performance by Francesco Pedraglio, which is the narration of a series of stories related to images that will be replaced, shifted, interchanged throughout the evening, giving life to new narrative and visual possibilities.